Roche the pharmaceutical giant based in Switzerland is expanding its treatments for respiratory disease through its acquisition of InterMune a drug maker in Brisbane for more than $8.3 billion, said both companies. Roche agreed to acquire the drug maker at $74 a share in a transaction of all cash, price that was a premium of 38% over the closing price of the company stock on Friday of $53.81. This acquisition takes place as InterMune expects to win an approval that has been long coveted in the U.S. for pirfenidnoe, its treatment for the rare and fatal idiopathic pulmonary fibrosis a lung disease. This disease had no known cure or cause and causes the deep tissue of the lungs to become scarred and thick over a period of time, making it harder to breathe. The sickness affects nearly 128,100 people across the U.S. and kills over 40,000 annually. Canada and the European Union have already approved the drug. However, the U.S. Food and Drug Administration rejected it in 2010 due to it not showing a benefit in one study. After InterMune returned with data that was positive from a February trial, the FDA designated the drug as a breakthrough therapy this past July and expedited its review. The deadline the agency has for a final decision is November 23. Well Fargo Company estimates the treatment could surpass global revenue of $1 billion by 2019. Roche currently sells two drugs for those with respiratory diseases – Xolair and Pulmozyme. The company is one of several rumored to be bidding for InterMune including GlaxoSmthKline, Actelion and Sanofi, said industry insiders. The merger recognizes substantial valued created in the team’s commitment to execution through hard work for over the past decade in developing and sales of treatment options for patients with IPF, said the CEO and Chairman of InterMune Dan Welch. Roche shares the same passion, said Welch, and commitment to the IPF community and the assurance that pirfenidneo was available as quick as possible to U.S. patients pending approval by the PDF. 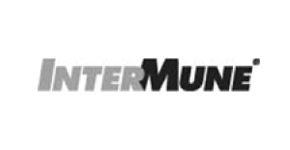 As of this past July InterMune as nearly 400 employees and was founded in 1998.